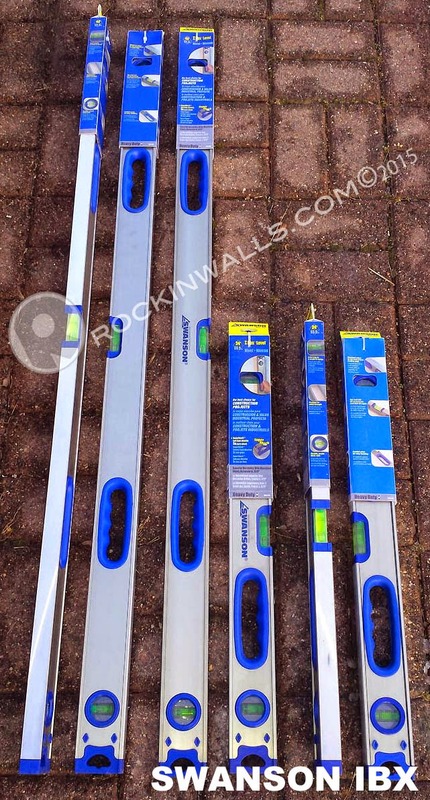 ROCKIN WALLS: Swanson® Tool Company 2015 Rockin Walls Workshop Sponsor, "Try Before You Buy"
Swanson® Tool Company 2015 Rockin Walls Workshop Sponsor, "Try Before You Buy"
Can you see your bubble? I haven't found a level that has the highest visible site glass as the Swanson® Tool Company. I fell in love with the IBX levels back in 2011. Read my blog Tools - Swanson Level's 2 ft - 4 ft. 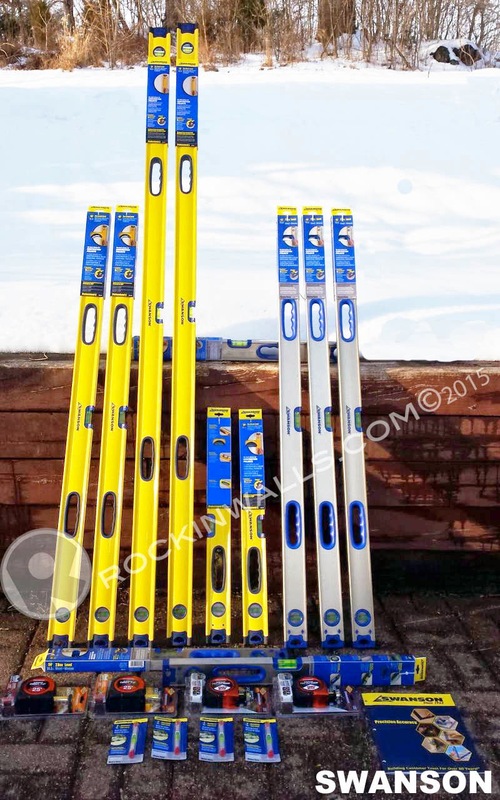 I'm proud to have a full line up of 24", 48", 72" levels, Line levels, and tape measures. Supporting Rockin Walls Training Center " Try Before You Buy" Program. 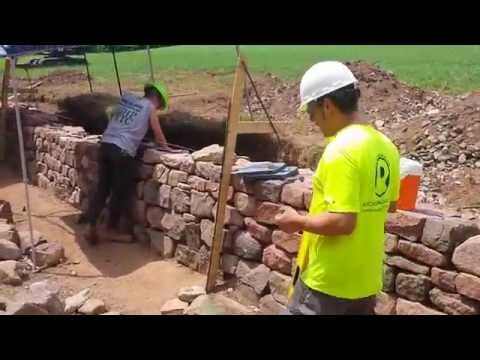 No other Dry Stone training center in the USA offers such a large assortment of tools. Swanson's flagship 'built-like-a-tank' monster- The Box Beam Level! A super-heavy-duty aluminum frame houses industrial length acrylic block vials and is finished with Super Shock® end caps made from a proprietary polymer/rubber blend. The deep V-groove channels allow the user to work with both round stock and squared corners, while the available magnetic version has been loaded with incredibly strong rare earth magnets, using IMS technology™ (click here). Superior-precision, multi-ring vials indicate drainage pitch for plumbers and landscapers and are accurate to .00050" (click here). This level is reserved for the 'Big Dog' on the job site! A heavy-duty aluminum frame houses industrial length acrylic block vials and is finished with Super Shock® end caps made from a special polymer & rubber blend. These levels feature the exclusive Swanson Diamond™ bumpers, to protect surfaces from marring. 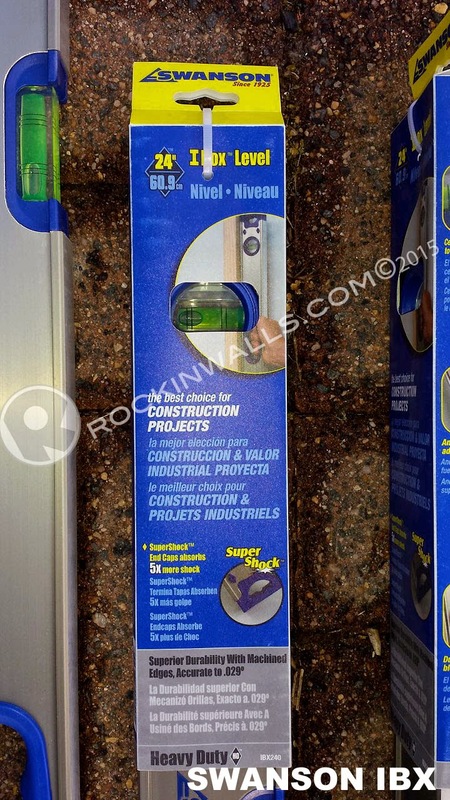 Multi-ring vials will help plumbers and industrial landscapers with drainage pitch, and the magnetic version of these levels are the envy of metal workers everywhere. For more information on how to use multi-ring vials click here, and to learn more about Swanson's IMS™ magnetic technology, click here. Swanson® Tool today unveiled a new tape measure under its premium Savage® brand, that features a patent pending rotating tip that is specifically designed to hold rounded edges up to 2-inches in diameter, such as metal conduit, rebar, threaded rod, PVC and black iron pipe. With the ability to catch, hold and measure multiple types of materials, the new GripLine™ tape is ideal for plumbing, electrical, builder and carpenters, framing pros and DIY enthusiasts. A slotted groove in the innovative, pivoting head allows the oversized 1⅜-inch tip to slide seamlessly toward an object, thereby extending the tape’s gripping range and strength. 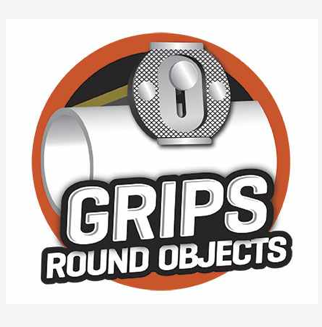 In fact, this free-moving tip makes the GripLine the industry’s only tape measure capable of extending up to 1-inch of additional surface area and holding force toward any edge or endpoint. With the 360-degree hooking capability, this new tip design gives contractors’ maximum control when drawing the tape against an object, making the tape feel more like an extension of their arm than a hand tool. “This multifunction, magnetic and pivoting tip is what makes the GripLine tapes a truly innovative solution for builders, contractors, plumbers, electricians, carpenters and DIYers,” says Loren Doppelt, Director of Product Development and Marketing for Swanson Tool Company Inc., a pioneer in layout, leveling and measuring tools since 1925. The double-sided, high-visibility blade and pivoting tip allows contractors to catch surfaces not only from above and below the tape, but also from the side—invaluable when measuring off a wall corner while keeping the tape horizontal, so it doesn't collapse. 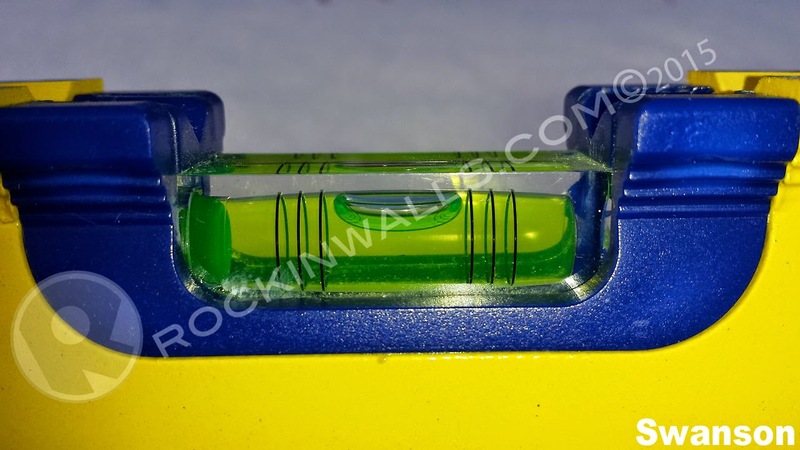 The GripLine tip also features two magnets, allowing it to easily connect with any metal object, such as ceiling grids, studs, beams or HVAC ductwork. “This tape measure works so well with challenging rounded stock, it works even better with everyday construction because it simplifies any work application’s process,” says Doppelt. ~ High visibility dual-sided blade. Nylon-coated for extra durability, the 1-1/16-inch wide, dual-sided blade features large 3/8-inch markings for quick readings of both elevations and flat-surface measurements. The scale is graduated in 1/16-inch increments and clearly marked every 1/8-inch. From the 1-ft. mark and up, the wide blade marks off feet, as well as inches. ~ Quick reference symbols. Several easy-to-read markings eliminate guesswork, help boost jobsite productivity and increase accuracy. The tape features: 16-inch and 24-inch Stud-Centers to easily mark stud placement, as well as 19.2-inch-Framing-Centers or 'black truss' markings, used to position roofing rafters and/or floor joists. ~ Lever action belt hook. Forget pinched fingers or wrestling a tape back on to a tool belt. Instead of a traditional flat clip, the GripLine uses a thumb-lever-action clip to speed access to the tape and make storage quick and easy. ~ Generous standout. The dual-sided blade remains rigid even when extended up to 8-1/2-ft. An easy to use thumb-lock holds tape blade in place while taking measurements. ~ Durable construction. The multifunction, magnetic and pivoting tip is steel-reinforced with five-rivets to ensure firm gripping strength as well as longevity. The high impact-resistance case has a durable, non-slip molded rubber housing for added control and durability. ~ Guaranteed quality. Swanson Tool guarantees all Savage products through a limited lifetime warranty. 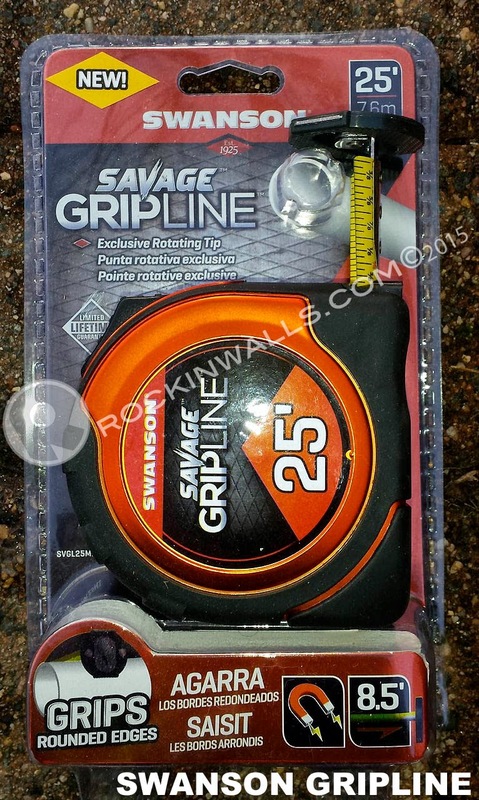 The new Savage GripLine tapes will be available nationwide in three lengths: 16-feet, 25-feet and 30-feet. Suggested retail prices for the new tapes range from $22.99 to $29.99, depending on length. The new ProScribe™ tape measure from Swanson® Tool features a patented innovative, retractable scribe guide and centering pin to help contractors measure and mark to cut lengths and radiuses. Marketed under the company’s professional-grade Savage® brand, the patented ProScribe integrates several valuable marking functions, including the compass-like ability to measure and scribe circles, as well as the chalk-line-accuracy to measure and mark/score straight lines. The retractable, 1½-inch rigid scribe guide allows contractors to transfer a specific measurement by sliding the guide along the edge of a board or drywall sheet, while the reinforced tip is used to mark the workpiece. Users can also easily position a case knife or carpenter’s pencil against the tape's metal tip to cut/score or mark the desired width. 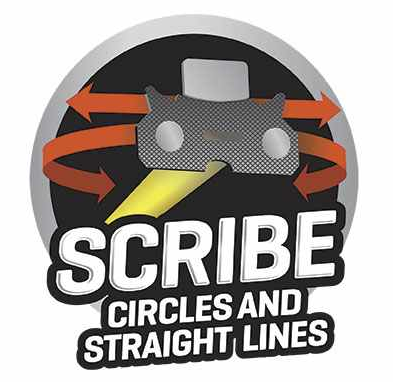 Also housed in the retractable scribe guide is an exclusive centering pin that—like a carpenter’s compass—allows users to precisely scribe a circle or arc or to mark the center point of a work piece. 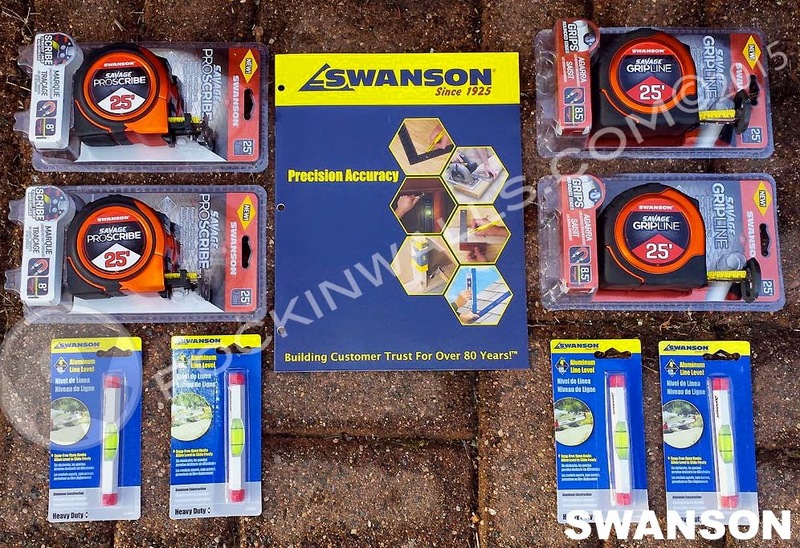 “Many of the marking and measuring functions pros perform everyday are seamlessly integrated into the ProScribe tape, making it ideal for builders, contractors, carpenters and DIYers,” says Loren Doppelt, Director of Product Development and Marketing for Swanson Tool Company Inc., a pioneer in layout, leveling and measuring tools since 1925. The ProScribe’s over sized tip features two front-facing magnets, allowing it to easily connect with any metal object, such as ceiling grids, studs, beams or HVAC duct work-- giving contractors’ maximum control and saving time. From the rear, the tape’s heavy-duty metal tip also helps draw forward the scribe-guide element (when unlatched) through two magnets mounted to the innovative guide. To ensure smooth movement and jobsite durability, the front of the scribe-guide—which faces the work surface—is reinforced with a metal straight edge. Nylon-coated for extra durability, the double-sided blade features large, 3/8-inch markings for quick readings of both elevations and flat-surfaces—invaluable when measuring and marking a distance from an edge. The high visibility scale is graduated in 1/16-inch increments and clearly marked every 1/8-inch. From the 1-foot mark and up, the wide blade marks off feet, as well as inches. ~ Retractable scribe-guide. Easily deployed with a separate latch, the 1½-inch rigid scribe-guide easily slides across any edge to transfer markings for parallel lengths. ~ High-visibility, dual-sided blade. The 1-inch wide, dual-sided blade features large 3/8-inch markings for quick and accurate readings. ~ Quick reference symbols. Several easy-to-read markings eliminate guesswork, help boost job site productivity and increase accuracy. The tape features: 16-inch and 24-inch Stud-Centers to mark stud placement more easily, as well as 19.2-inch-Framing-Centers or “black truss” markings, used to position roofing rafters and/or floor joists. ~ Lever action belt hook. Forget pinched fingers or wrestling a tape back on to a tool belt. Instead of a traditional flat clip, the ProScribe uses a thumb-lever-action clip to speed access to the tape and make storage quick and easy. ~ Generous standout. The dual-sided blade remains rigid even when extended up to 8-feet. An easy-to-use thumb-lock holds tape blade in place while taking measurements. ~ Durable construction. The magnetic tip is steel-reinforced with three-rivets to ensure firm gripping strength as well as longevity. The high-impact-resistant case has a durable, non slip, molded-rubber housing for added control and durability. 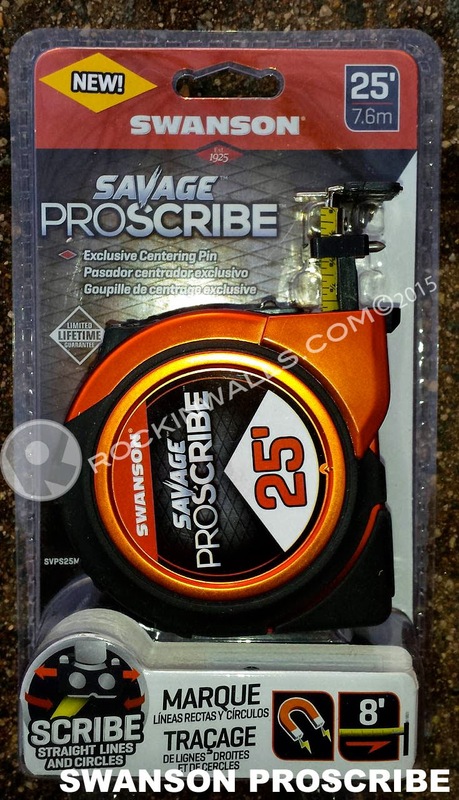 The new Savage ProScribe tapes will be available nationwide in 16-foot and 25-foot lengths. Suggested retail prices for the new tapes range $20 +/ -, depending on length. Many thanks to Swanson® Tool Company for the generous support to the Rockin Walls Training Center.